The death of Maxwell McAlpine, age 30 years, occurred on January 2, 2019. He is survived by his parents, Russ and Lois McAlpine; sister, Robin (Travis) Ens and their children, Ivan, Leif, and Telly. On Sept 29, 1988, Max was welcomed into the world by his parents Russ and Lois McAlpine and his sister Robin. As a young child, Max had an active imagination and, in his superman pajamas and an additional flowing red cape, he spent days enjoying his super-powers. As a young man, he fondly remembered the simplicity of those days when he could stick out his arms and be an airplane. Max had an unusually low voice which was amusing when coupled with his love of precise words. One of our family’s highlights was going to B.C. for Carmen (Harder) Peters’ wedding. Robin was a flower girl and Max was a ring bearer. He was about 5. The bridesmaids got a kick out of asking him what he wanted to be when he grew up, and hearing him answer “A paleontologist” in his low voice. He had a passion for Lego that still remained with him in his adult years. He enjoyed playing imaginative games with his sister when he was young, spent time with his cousins Alistair & Donovan and other friends; wore the spots off several basketballs (though he didn’t enjoy playing the actual game); and built numerous forts with his friend Kendall. He took karate lessons in his middle and high school years and earned his brown belt, which may have helped him in his adult left when he fended off a mugger. He enjoyed time with his Speiser cousins at Grandma’s house, and later at his Uncle Rudy and Auntie Barb’s. Unfortunately distance made it harder for him to get to know his Cavey & Macinsky cousins, but there were some really good visits. Max started taking piano lessons from Lorraine Redekopp when he was in early elementary school. As with most kids, it was hard to get him to practice. After several years of encouraging him to do that, we told him that he could quit if he wanted to. We were surprised at his answer: “If I quit now, all those years would be wasted.” So he continued. Lorraine instilled a love of music in him that grew as he grew. He increasingly enjoyed playing piano, paying for his own piano lessons at Bethany, and teaching himself when that ended. He also found amazing piano players to listen to on YouTube. Two Christmases ago his present to his nephews was a piano, because he wanted them to enjoy music as much as he did. After high school, went to Bethany College for 2 years and made some good long lasting friends. Max had an interest in computer technology, so we thought maybe he would do something along that line. However he switched gears and went to U of S with the intention of becoming a doctor. In University, it was a “sink or swim” situation. He discovered that he could learn things on his own, and the world opened up to him! He had a personal revelation how, found that if he took the time to start at the beginning to thoroughly learn the basics of any subject, he had a solid foundation on which to build future knowledge. This approach helped him get through his advanced math and science classes. (He and his cousin Alistair had similar feelings about Bio Chem!) He was in awe and would speak passionately as he discovered the interconnectedness of everything – from molecules to the cosmos. 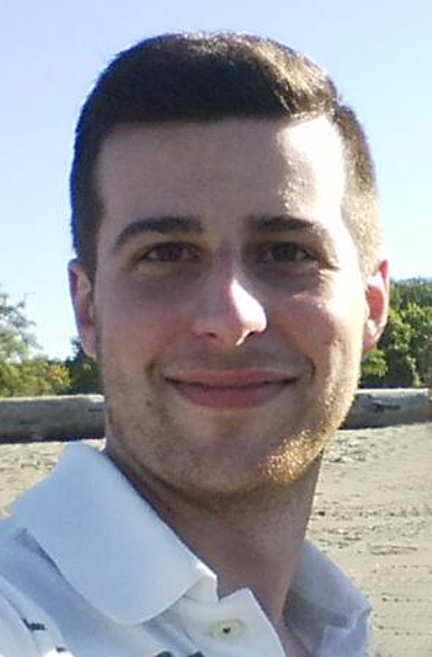 After 1 ½ years at U of S, he transferred to UBC, and fell in love with Vancouver. He loved the ocean, the greenery, and dedicated a lot of time to hiking in the mountains. He also had an appreciation for rain, which made Vancouver even more ideal for him. One sad thing about being so far away, though, was that he was away from his nephews – Ivan, Leif, and Telly, whom he loved very much. He visited when he could, and enjoyed hearing about what they were doing and learning. He appreciated the uniqueness of each of their personalities. He recognized that each had special gifts and would speculate how they would choose to use them. In B.C. he worked hard. He was a Resident Advisor in his dorm one year to help pay for expenses. One semester he took six classes, while also holding down a part-time job and volunteering at the hospital. He studied for his MCAT (the required exam for medical school) on his own and did very well. However his focus shifted again and he found he had a knack for doing research. He worked for a husband/wife doctor team who were both medical doctors and researchers. They were good mentors as well, and Max learned a lot from them. He resonated with the idea that a doctor could help one person at a time, but doing research that could implement new ideas that could help many people at once, which also played to his strengths. After concentrating so much on the sciences, with this new focus in mind, he graduated with an English degree, which also aligned well with his life-long passion for literature. Meanwhile, he developed a love of good literature that rivaled his fascination with science. He had a passion for books – paper copies when he had time, and audio books while exercising, biking, or doing household tasks. He especially loved cooking, and he loved to host friends and cook for them. His homemade tomato sauce was second to none. He developed an insatiable desire to learn and loved to share his fascination for everything. He developed other interests as well – building computers, biking (including building bikes), learning about astronomy, keeping up with current affairs, discussing politics with friends, and taking several years of German language classes. He made good friends and thoroughly enjoyed time with them. Some of Max’s best friends from Vancouver are here today — including John-Jose (whom Max endearingly called JJ), his partner Becky, as well as Liv from departures. He also developed a wonderful friendship with a couple named Bieke & Alexander, who now live in Norway, and became an honorary uncle to Amund, their son, whom he loved deeply and would speak of often. After graduation, he worked for the previously mentioned husband/wife doctor team as a researcher in their office. When the job of managing the office became available, he applied for and received that position. It was a steep learning curve, and he had to acquire a whole new set of skills. Research was still him primary career interest, though, and to his last day he maintained the goal of pursuing his Masters and PhD in the area of healthcare, making sure people in rural areas had access to healthcare as good as that experienced by people living in big cities. He had been accepted to the Master’s of Public Health program at both the University of Toronto and Simon Fraser University. In the last year and a half, Max met and dated Evannah Marshall, who did her best to help him through a difficult time in his life. Max was a deep thinker, which became evident at an early age. One evening when he was 5, he called me (his mom) into his room. He had some serious questions about God. They were the same sort of questions I had asked my mom at that same age, so I shared with him in the simplest words I could, the same good news that she had shared with me: That God loved us and made a way to help us through life, and to be with Him in heaven after we died. Max accepted God’s gift that day. Since then, he had many doubts and struggles and did not receive all the peace and comfort that was available to him. He maintained a belief in God, however, and the “wow” factor of how everything was interconnected helped him in that. He assured us in the last days of his life that he was a Christian. This of course means everything to us at this time, as we anticipate seeing him again in heaven someday. A Celebration of Maxwell’s Life will be held on Saturday, January 12, 2019, at 11:00 A.M. at Salem Church, Waldheim, SK. In lieu of flowers, donations may be made in memory of Max to TEEN CHALLENGE (Saskatchewan Men’s Centre), PO Box 21111, Saskatoon, SK S7H 5N9. Funeral arrangements are entrusted to Funk’s Funeral Home, Rosthern, SK (306) 232-5245 (www.funksfuneralhome.ca). Russ and Lois : We were saddened to hear of the passing of your son Max. Our condolences to your family at this difficult time. Miss you always, my friend. Sending out my condolences to you and your family. We are so sorry for the loss of your precious son, Max. We are praying for God to surround you with His love and care at this most difficult time. Our deepest condolences on the passing of your dear son Max. Words are never enough. May God hold you in his loving arms and comfort you. have experienced. Our thoughts & especially our prayers are with you! “Precious in the sight of the Lord is the death of His Saints. ” Ps. 116:15. What a great comfort to know Max is with the Lord and that we will meet again! We will miss Max’s humorous wit and generous spirit. Such a beautiful smile. Our condolences to Russ and Lois and family for the loss of your loved one. Our thoughts and prayers are with you. Archie and Carolyn Loewen. Dear Russ and Lois, we are holding you and your family in our hearts and in our prayers. We pray that you will know God’s presence, strength and comfort as you grieve the loss of Max. Much love, Nancy and Wendell McConnell. Dear Russ, Lois, and all of the McAlpine family, we are thinking of you constantly. Please accept our heartfelt sympathies, and our prayers that you will be comforted through this. Much Love Daniel Veck and Debbie Ward.